Super Bowl at St Regis Bar and Grill! Join us for the Big Game on February 3rd 2019! Molson Canadian Sleeves for $5! 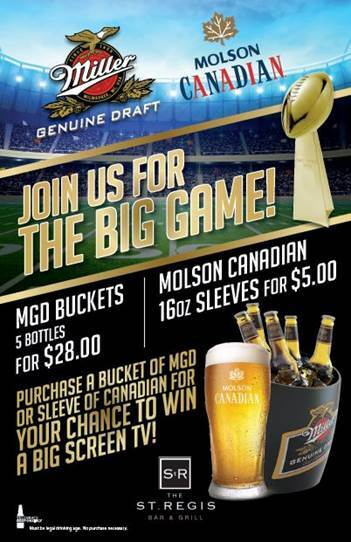 MGD buckets (5 bottles) $28!